The team is hard at work this morning with many different activities running simultaneously. The very important screening process is taking place. Our cardiologist Dr Scott Fox just came back from screening patients in Lae. There was an unfortunate flight delay that meant he was working through screening patients till 9 pm last night. 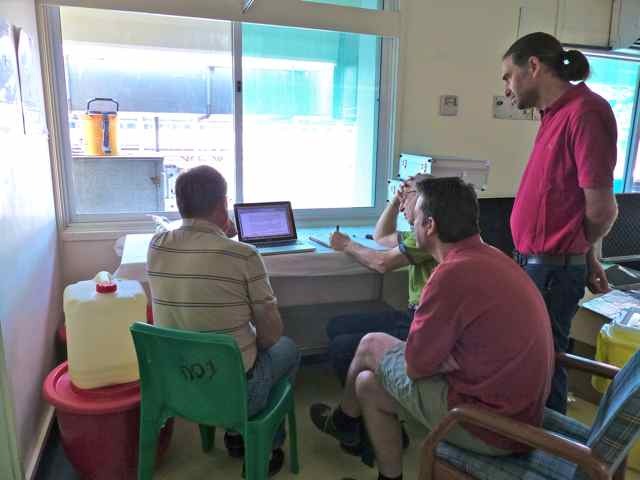 Our surgeons and anaesthetists are sitting down and trying to make decisions about which patients to operate one. This process is really difficult for all involved. 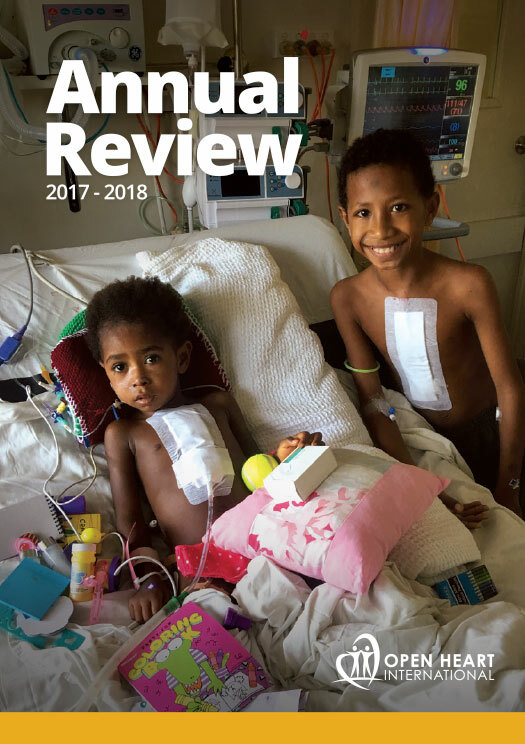 Our doctors choose patients who will have the best possible outcome, that is the ones that will live a very long and healthy life post surgery. Education is continuing today, both for theatre staff and local nurses. 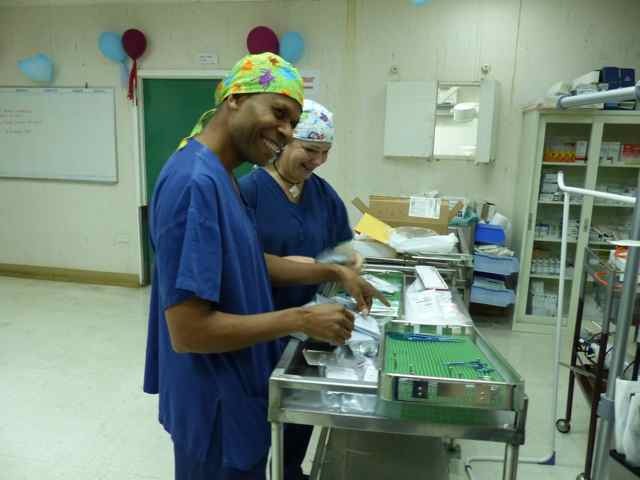 The local surgeon Noah was getting a run-through from our theatre nurse Kim on new surgical instruments. 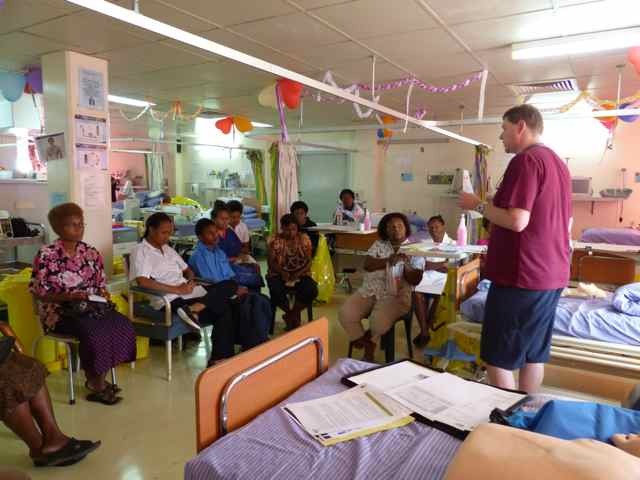 Whilst this was happening our clinical nurse educator Michael was giving the local nurses a tutorial about resuscitation practices. We had 5 new team members arrive yesterday, including the theatre staff. Theatre and profusion are continuing to set up. However our biomedical engineers and ICU nurses haven’t had all their equipment arrive yet. There are still have four pallets in transit. These have key equipment such as heart lung machines, specialist intensive care equipment and drugs in them. We hope these arrive sometime tonight or tomorrow. As soon as they do arrive we will be back at the hospital unpacking and setting up so it is ready tomorrow. Russell is doing some housekeeping duties such as sorting out phones for the team. Once we start we will be able to communicate with each other that is vital for our team members that will be on call.